Welcome to Kielder Sports clay pigeon shooting ground in the heart of Northumberland. 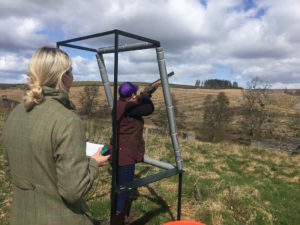 Set in the glorious Northumberland National Park countryside Kielder Sports offer Clay Pigeon Shooting, Air rifle target Shooting. Perfect for a treat for family and friends, work days out or stag and hen parties! To book an activity please call, email or message us on facebook. We can offer bespoke prices and packages for large groups.